Your image can be photocopied or lazer copied - these types of reproductions have the right kind of toner that works well for transfers. Some magazines may work but it depends on the method of printing so results may vary. * Your image will be reversed so if you want to get it exactly how you see it you will have to reverse the image on your computer before printing. 1. Works best on a rigid surface like a wooden panel. 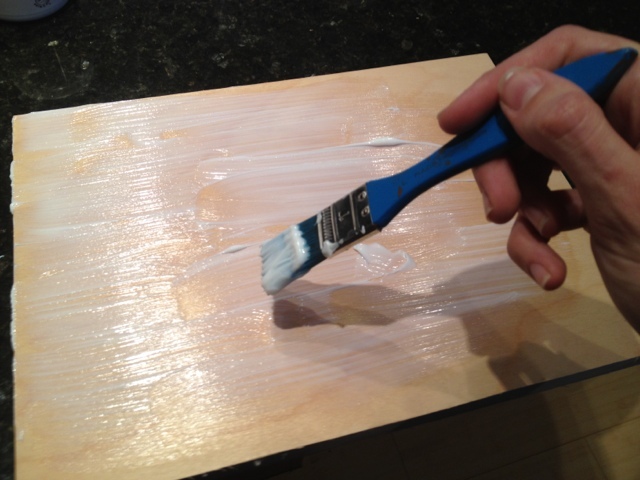 Apply gel medium to the surface of the panel. lightly spritz your image surface with water. 2. Put your image face down onto the gel medium-ed surface of the panel and use a brayer or your hand to smooth the image down onto the panel so that there are no air bubbles. 3. Wait for it to dry - THOROUGHLY before the next step of removing the paper. 4. Lightly sand the back of the paper so that the surface is scored all over - this will give more entry for the paper to be soaked for removal. 5. Spritz the back of the paper with water until it is wet enough that you can begin to rub the paper off. You can use your fingers or a sponge. Here's a video by artist Darlene Olivia McElroy in case you get lost along the way!